In Stock! This item ships in 3-4 days. Your new Grandparents, Aunts & Uncles will fall over backwards when they receive their own Baby Personalized Wood Picture Frames with their newest family member proudly smiling back at them. Our Baby Personalized Wooden Picture Frames comes in three sizes, please choose from, 4"x6", 5"x7" and 8"x10". Easel back allows for desk display. Includes FREE Personalization! 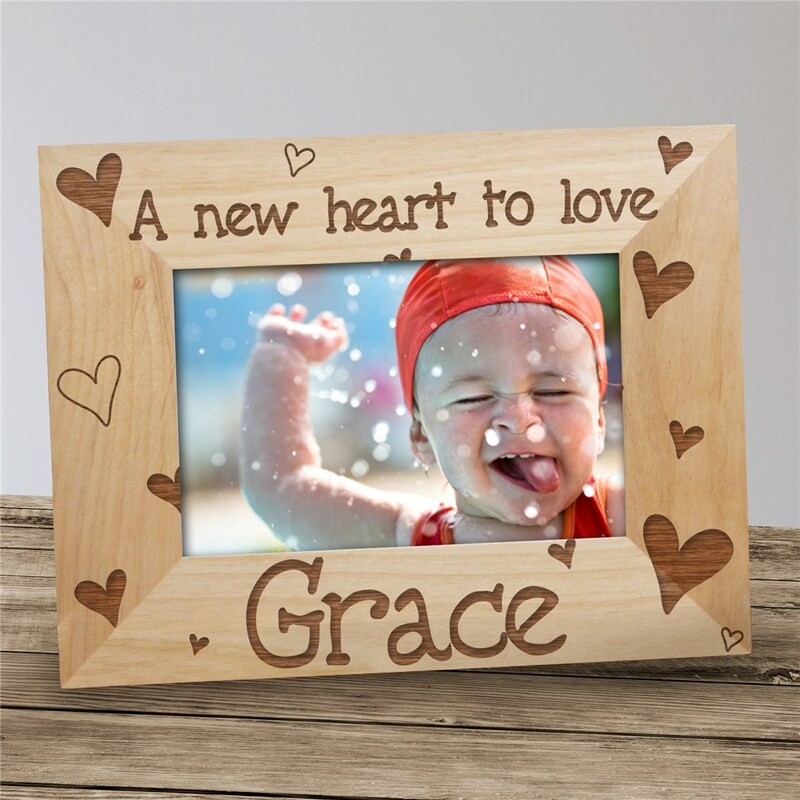 Personalize your Baby Wood Picture Frame with any name. #1 - 4"x6" Photo 8 3/4" 6 3/4"
#2 - 5"x7" Photo 9 3/4" 7 3/4"
#3 - 8"x10" Photo 12 3/4" 10 3/4"
Easel back allows for desk display. Also available to hold a 5"x7" or 8"x10" photo. Please view our entire selection of Personalized Baby Frames. Our unique baby frames are wonderful & make great Personalized Baby Gifts. Get your Baby frames today.